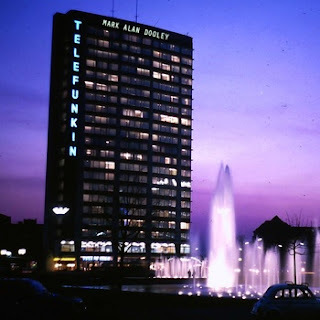 Texas Online Radio: Mark Alan Dooley ~ New Release Telefunkin, Available Now! Mark Alan Dooley ~ New Release Telefunkin, Available Now! I ran across Dallas artist Mark Alan Dooley this morning. Looking through his site, he has quite a portfolio of works. His newest release "Telefunkin" is available now through his website. It's not often you find a Texas artist with the Euro-urban sound Mark brings to the table. The strong, but not overpowering guitar accompanied with lyrics from the soul make "Telefunkin" a welcome addition to your collection. Whether you're sitting on the balcony of a hi-rise in downtown Big-D, the porch of a favorite lake house, or a smokey pub in Frankfurt... the music fits the occasion. My spiel is this: Retro Jazz Rock Alternative Blues Pop Space Jam in 3D, weird but cool, freaky but fluffy, not naughty, not nice. The Lo-Fi Technicolor Dream Edition... of sweet streaming consciousness musing from a guitar guru soupafreek. Vist his website and purchase "Telefunkin" here! Listen to "Slow Burn" on the Texas Online Radio Media player. Today, "Slow Burn" brought me into a Thursday and I'm glad it did... I say check it out.